Another page has been torn off the calendar so it's time for the October edition of my monthly #foodieparcelinthepost roundup. I honestly can't believe how close we're now getting to Christmas (we can say it now we're in November? Yes?!) There's even some Christmas shopping inspiration in this months selection. I bet there's someone on your list who would enjoy either a box of Cocktails, Italian products or American candy, or perhaps a yoghurt maker set might be right up someone's street. 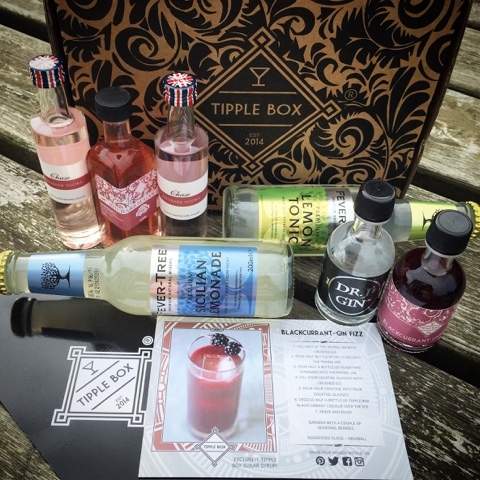 Tipple Box will soon be celebrating its first birthday! Launched via Crowndfunding at the tail end of 2014 I've been delighted to sample quite a few of the boxes along the way. The premise is that each month you receive a box of craft cocktail ingredients straight to your doorstep. Each box contains two different recipes, providing you with enough ingredients to shake up to 8 glasses worth of cocktails. Just add ice and friends! The October box was the first to contain a Tipple Box branded Liqueur and Syrup. The Rhubarb Sugar Syrup was absolutely amazing and made a wonderful Rhubarb Fizz when combined with the exclusive Rhubarb Chase Vodka miniature. The selection of spirits and mixers that each tipple box contains are always premium small batch products and I've discovered some fantastic new gins and vodkas via it. Unfortunately the second cocktail this month, a Blackcurrant Gin Fizz wasn't to my taste at all. I guess you can't win them all but I'm happy to keep trying different tipples and will definitely be ordering a few Tipple Boxes as Christmas gifts this year. I can't imagine that there's anyone out there who wouldn't be happy receiving #CocktailsByPost in their Christmas stocking! 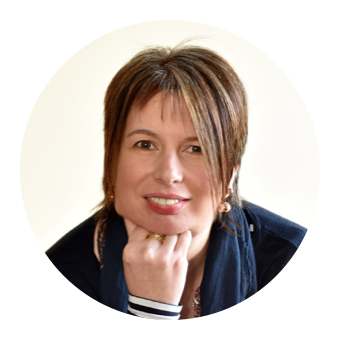 I'm a big fan of juicing but the sheer quantity of fruit and veg required plus the fiddly cleaning of the juicer can be off putting, particularly if considering doing a juice detox. 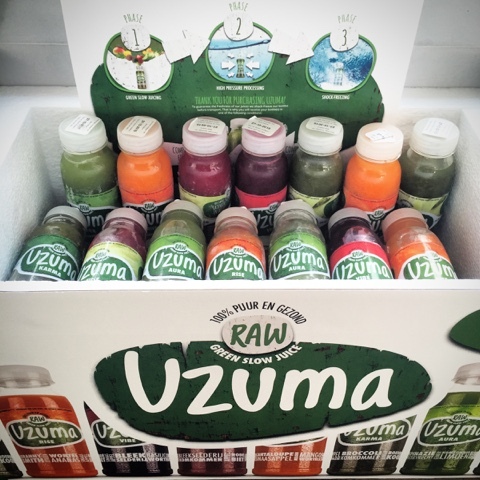 Innovative Dutch company Uzuma have recently developed a green slow juice. Their juices have been cold-pressed and processed under high pressure in order to give them a shelf-life of 21 days without adding any preservatives. I received a 3 day juicing sample package which retails at £58.44. The juices are shock frozen before being packed in insulated boxes to ensure that the product is still cold on arrival. Each day you get 7 juices to drink and I really didn't find myself hungry when following the plan. I used the leaflets that came with the juices but I've since discovered that you can download an app to remind you which juice to drink when. Some of the juices I found much more palitable than others. I'm normally a fan of vegetable based ones but I realy struggled with those, the texture rather than the taste. They contained a lot more 'bits' than those I make myself. I didn't mange to do 3 consecutive days as life got in the way but I still lost a couple of pounds. A convenient way to do a juice cleanse for those short of time. 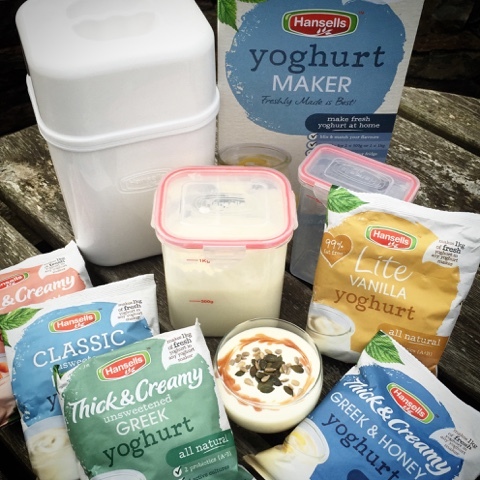 My kids get through a lot of yoghurt and I use a fair bit of it in my own cooking so I was keen to try out the Hansels Yoghurt Maker system. It's a very simple process and in addition to the yoghurt maker and flavour sachets all that is required is water. Mix, shake and leave overnight - or for 8-10 hours. No electricity required. We first tried out the Greek and Honey flavour but it was actually too creamy for us and our overall favourite was Lite Vanilla. The set includes 1 x 1 kg tub and 2 x 500g tubs. Personally I would have preferred 2 of the larger tubs as making up a half quantity would be fiddly and opened packs need to be used within a couple of days whereas made up yoghurt will keep for 2 weeks in the fridge. Freshly homemade yoghurt has great health benefits as it contains more active live cultures that what you'd buy in the shops and as such is great for helping the digestive system break down food. 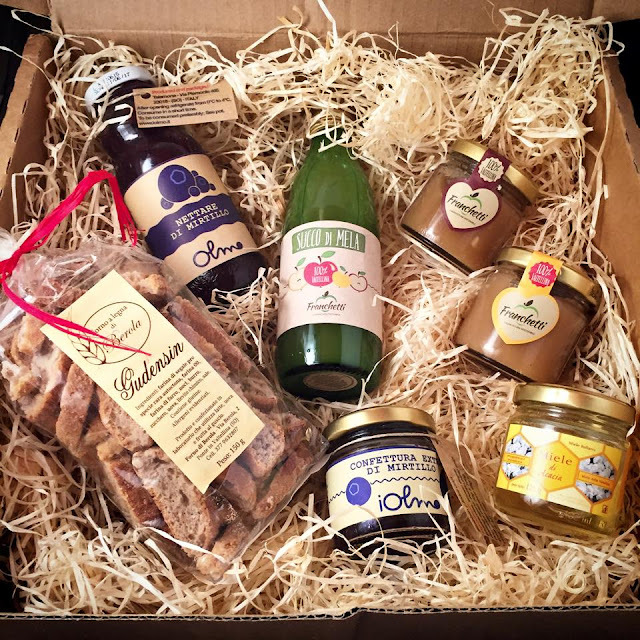 Feel It are a newly launched monthly Italian food box subscription service based in Milan. All the products included in their boxes are 100% Italian and are sourced from the most authentic independent food producers. Each month the box will focus on a specific region and this month it was Vatellina in Northern Italy between the Alps and Lake Como. I received a small box which retails at €35. When it arrived I wasn't exactly sure what it contained as not all of the products came with an english translation. However with the aid of their website I've now worked out what they are. Apple juice, Apple pulp Gold & Red, Nectar of blueberry, Blueberry jam, Acacia honey and Gudensin. The products we've tried so far have all been fantastic, particularly the apple ones. The box included a leaflet detailing all the producers included and telling their stories. Perhaps a wee bit more work required on English translations for those of us not fluent in the language of Bella Italia but an interesting concept for a subscription scheme. Folk seem to be divided into two camps when it comes to coconut. Lovers and Haters. I'm definitely the former. As such I was delighted to receive a parcel of 100% natural products from Coconut Merchant. Being hailed as a superfood coconut seems to be turning up in an increasing range of formats. Not so long ago all you could buy was dessicated coconut. I couldn't wait to try the baked coconut chips and practically inhaled the contents of the packet. Oh my goodness they are unbelievably moreish. Lightly baked, sweet crunchy and delicious. I'm not convinced about the flavour of the coconut syrup and think I'll stick to maple on my pancakes but I'm looking forward to using it and the coconut sugar in baking as natural sweeteners. My next kitchen experiment will be Granola including coconut oil, coconut syrup and those amazing coconut chips. 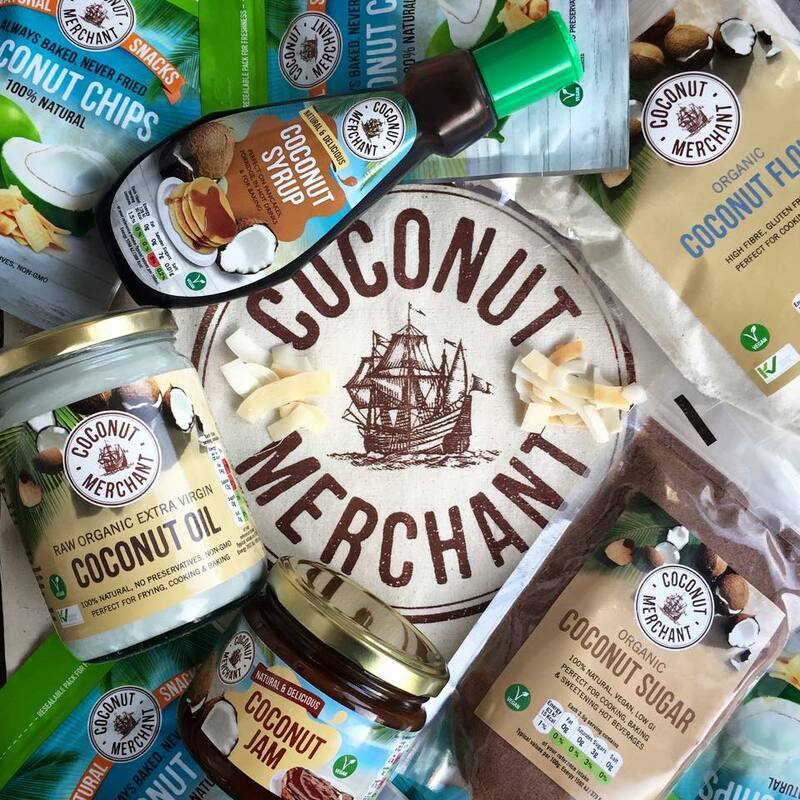 All Coconut Merchant products are currently available online from www.coconut-merchant.com, Amazon and Grape Tree stores, and selected products from Selfridges, Planet Organic, ASDA, Tesco, Revital and The Health Rack – as well as other independent stores. Bircher muesli has become a bit of a thing of late. I really like it but am seldom organised enough to make it the night before. If you're not familiar with bircher, it’s a creamy porridge style breakfast created by soaking oats in fruit juice and yoghurt overnight. Dorset Cereals have recently launched a new Bircher muesli mix is that can be ready in just 30 minutes. It comes in two variants, Raspberry & Blackcurrant and Almond & Honey. I also received a handy measuring scoop to perfectly measure out the required 1 scoop of muesli, 2/3 scoop of apple juice and 1/2 scoop of yoghurt. You can currently claim a free scoop via an on pack promotion. I particularly enjoyed the Raspberry & Blackcurrant flavour and found that there was a delicious creaminess of texture in just 30 minutes. I still like a bit of bite to my breakfast so have been topping it with a handful of seeds and nuts and I'm also going to experiment with different flavours of yoghurt and fruit juice. 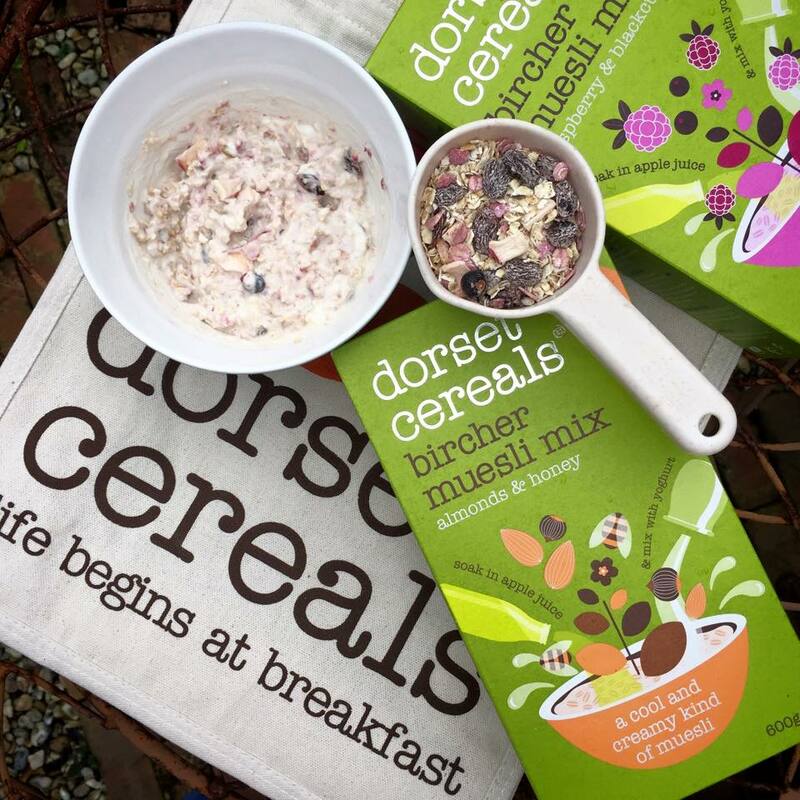 Dorset Cereals suggest that you used the 30 minutes of soaking time to do something positive for yourself. In the mad rush of getting everyone out the door in the morning I've not quite managed this bit yet but I'm delighted to find a shortcut to a bircher breakfast, I just hope that it will be more widely available very soon. My kids eyes popped out of their heads when a colourful box of treats arrived from Taffy Mail. 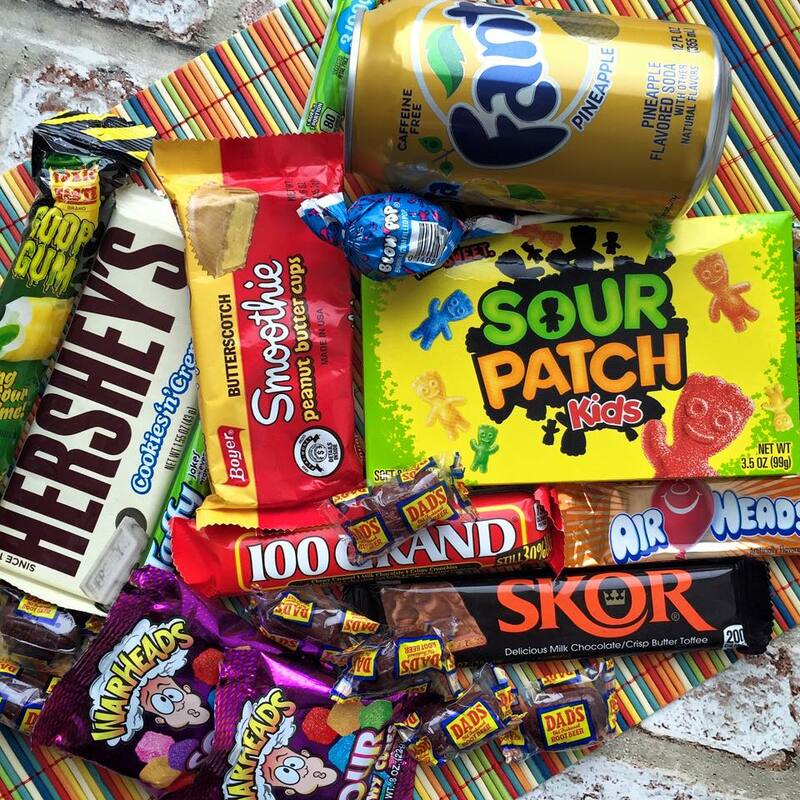 I received a Classic box which costs £14.99 and contains 10-12 American Sweets and one can of American soda. There's also a Lite box at £7.49 or an Extra box at £24.99. Taffy Mail is the UK's only American Sweet Subscription box and the October box contained an interesting selection. I quickly made a grab for the Skor bar and Butterscotch Smoothie Peanut Butter Cup, both of which were fantastic. My daugher was delighted with the sour candy, Hersheys Cookies 'n' Cream and Blow Pop lolly. None of us was keen on the Dad's Root Beer Barrels but my son is hoping that Pineapple Fanta makes its way to UK shelves very soon. A fun subscription for those with a sweet tooth. McVities have really been spoiling me this month. 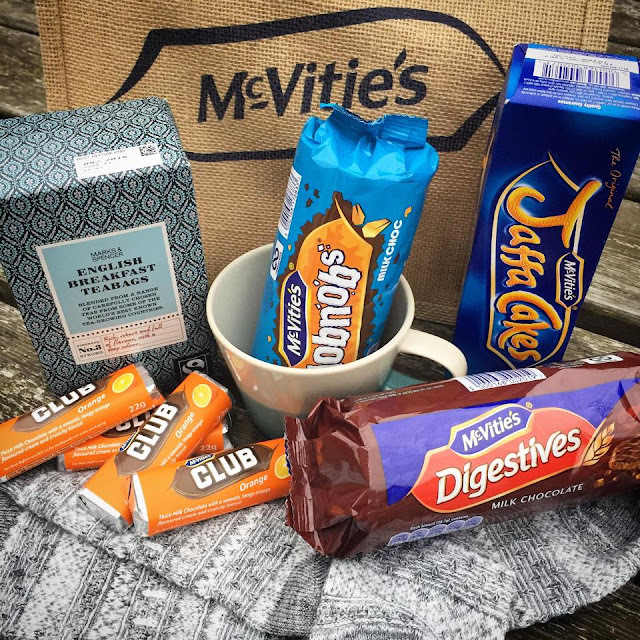 To celebrate National Chocolate week they sent me the ingredients and a recipe for a #Sweeet McVities Chocolate Digestive Cake. This was made in a loaf tin and is a great variation on a regular no bake traybake and super easy to make. You can find it on my Facebook Page where it received a lot of love. With the clocks falling backwards towards the end of the month marking the end of end of British Summer Time they put together a parcel to keep me cosy and content during the darker nights ahead. Nothing like snuggling down with cosy socks, a cup of tea and a choccie biscuit. I can't remember the last time I had a Club. They were a childhood favourite of mine, particularly a Fruit Club. Who remembers the advert? If you like a lot of chocolate on your biscuit join our club! Both the juices and the coconut bundle sound amazing. But which first? The coconut has got to be my favourite parcel this month. The Chips are just to die for. 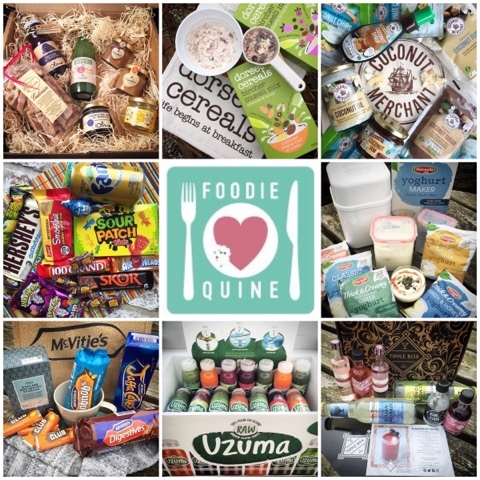 Lots of lovely stuff tried last month! I love the look of the coconut oil bundle and I've tried the juices before and really enjoyed them. The convenience of the juices was great but the Coconut was definately my top pick this month. Cocktails by post is such a great concept. Just add ice and friends! Lovely bunch of goodies. The coconut syrup sounds so good!